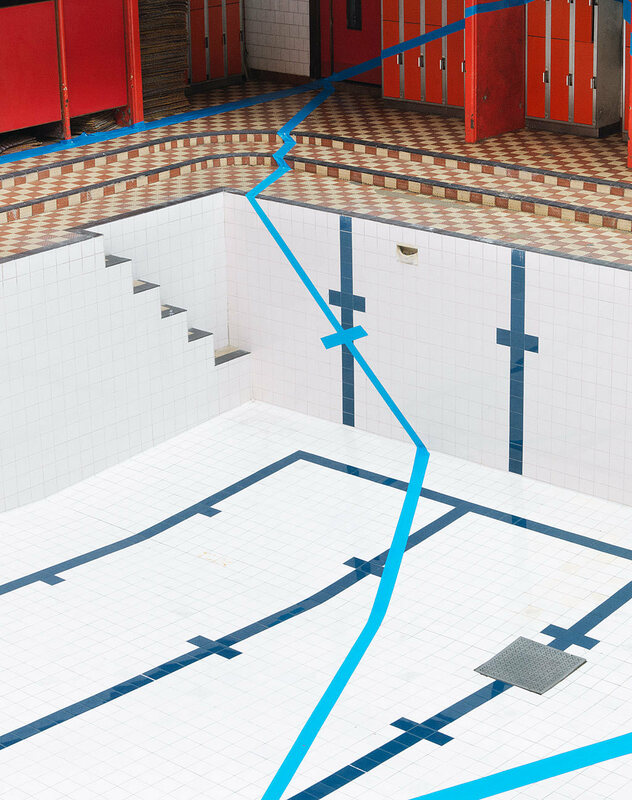 2.5 kilometres of blue gaffer tape. 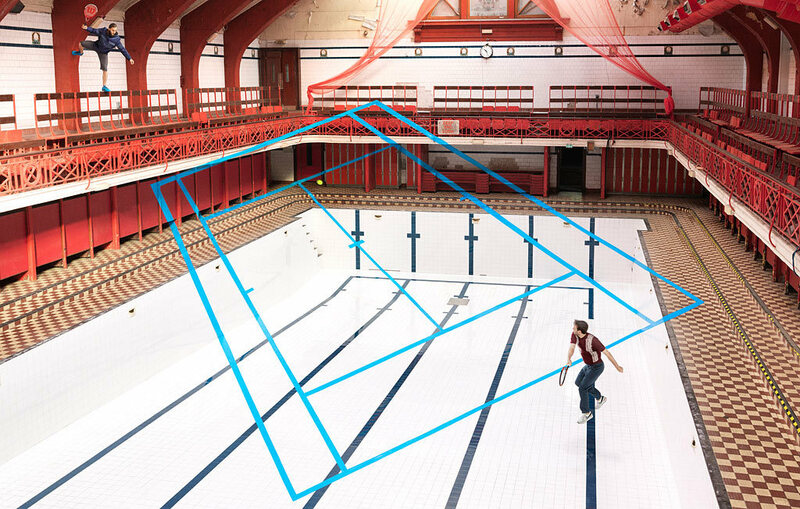 One derelict swimming pool in Glasgow. One amazing director of photographer who trusted my crazy idea. 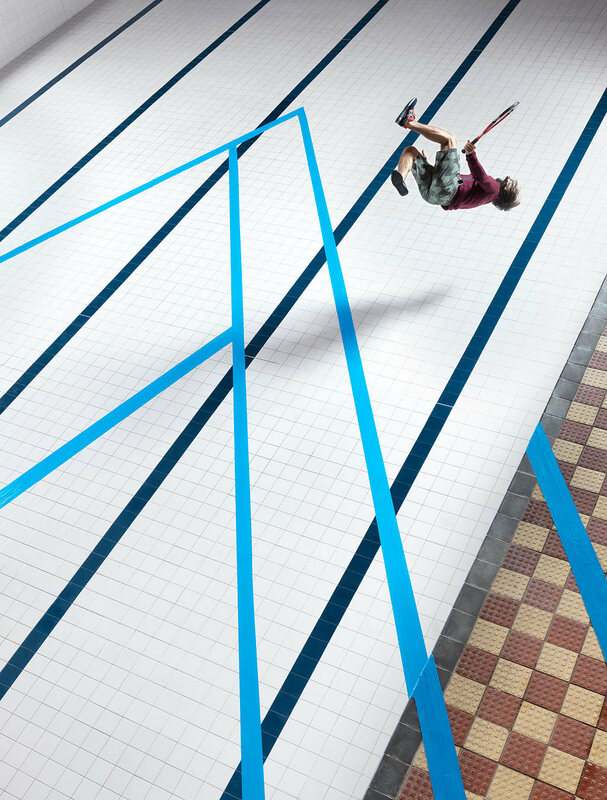 All these came together for one of the most challenging shoots I've ever done, commissioned by Madeleine Penny, Director of Photography for Avaunt Magazine. 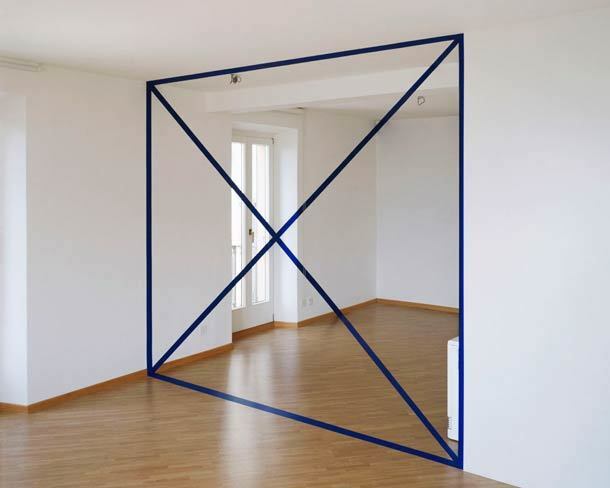 For the uninitiated, anamorphosis is a distorted projection or perspective requiring the viewer to occupy a specific vantage point to view the image correctly. 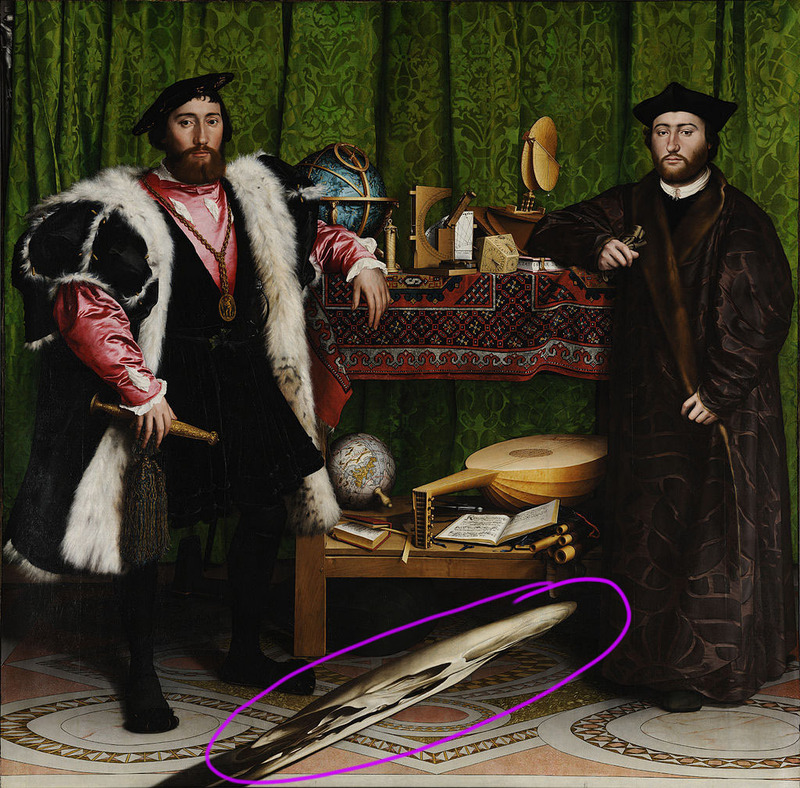 A famous example of anamorphosis is Holbein's The Ambassadors, where a distorted skull appears in the foreground. 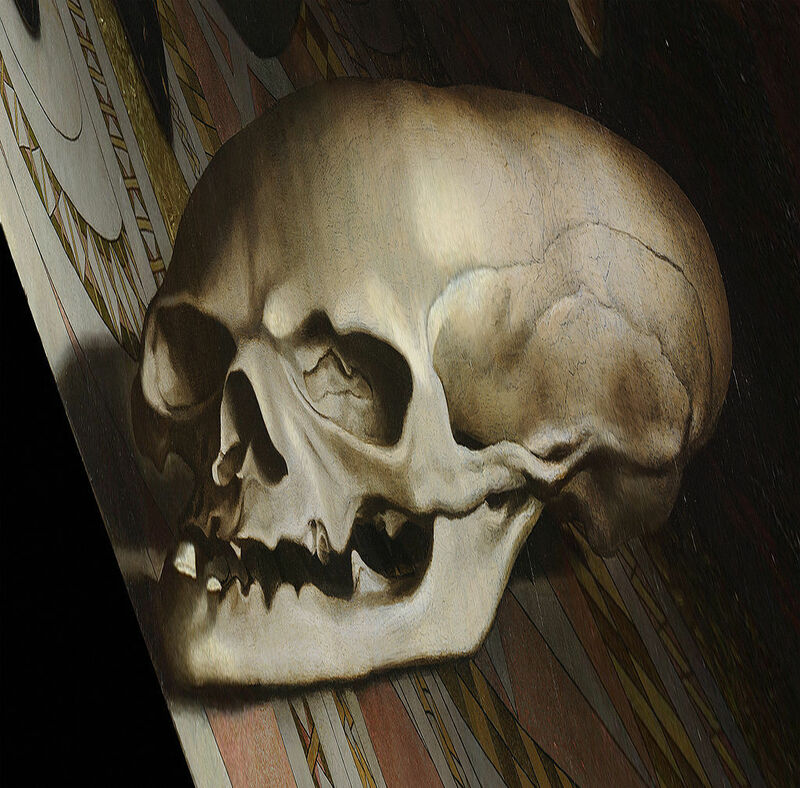 Viewed from the front, the skull is hard to decipher; viewed from the side, the skull becomes clear. 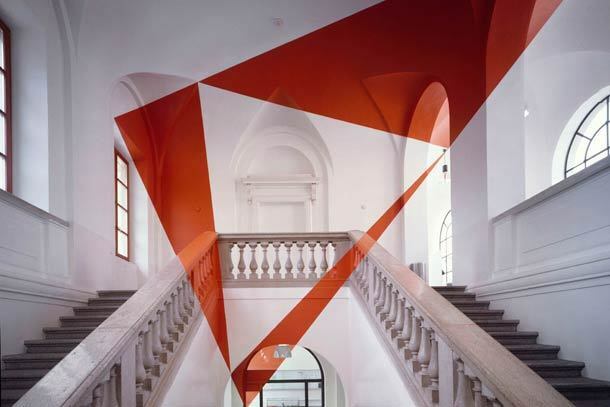 More recently, artists such as Felice Varini have used painted anamorphosis in urban or architectural settings to create abstract pieces of work, giving the impression of floating patches or lines of colour. 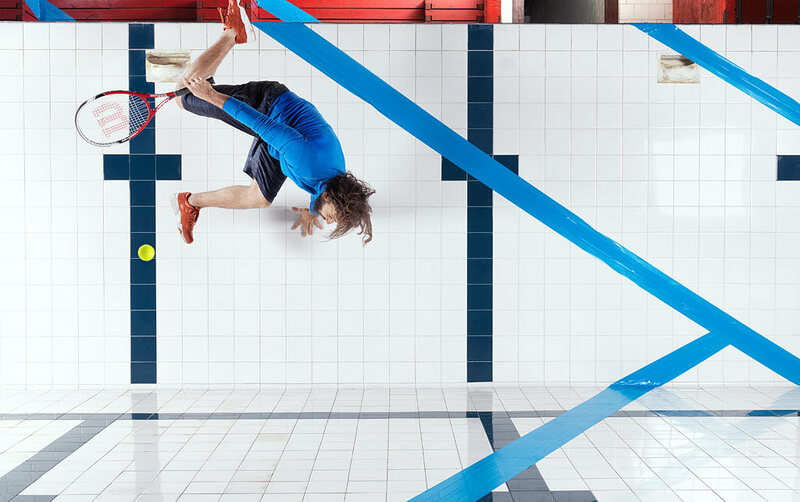 For this project we spent three days in freezing conditions setting up and shooting this anamorphic tennis match. Everything is for real. 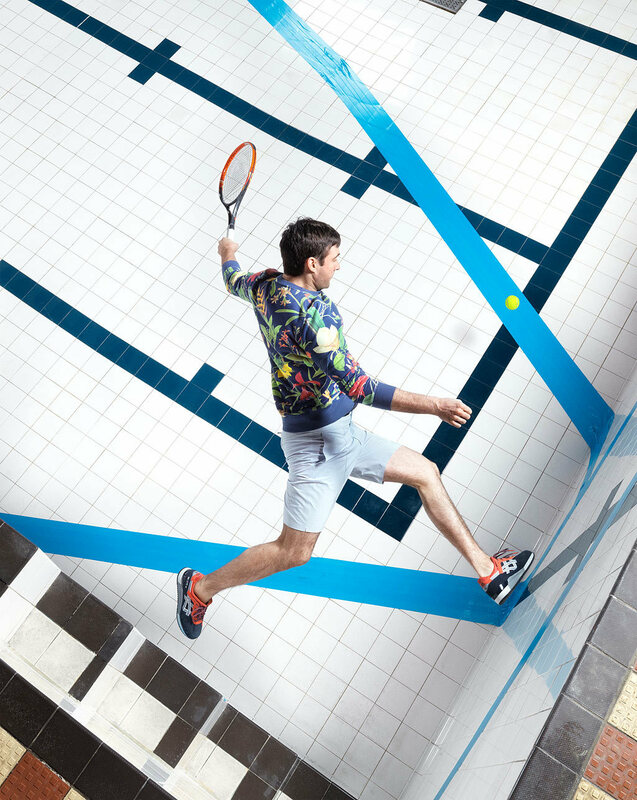 The tennis court was laid out by hand by a team under the direction of Papy and Milouz from TSF Crew. 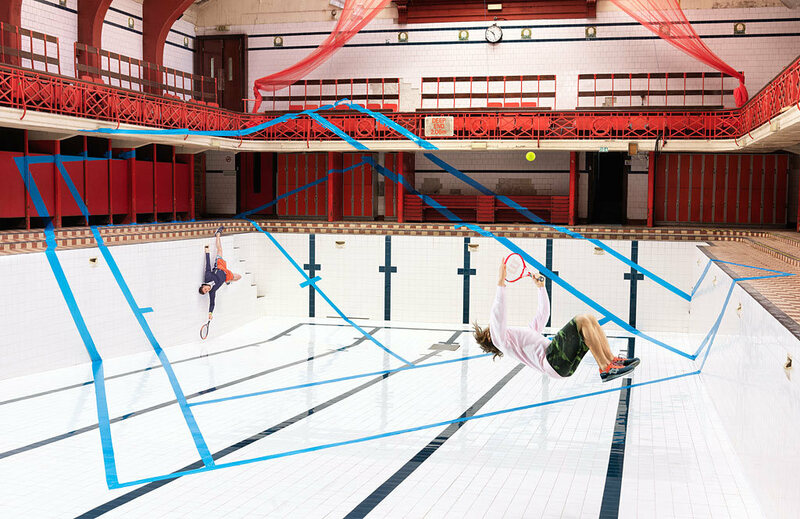 The parkour artists, David Banks and Kevin Lancombe from Parkour Generations, jumped off balconies, ran sideways along the walls and generally risked serious injury to create these images.